I had much higher hopes for this do-over week. I had planned ambitious projects involving hammered copper and bold designs using upcycled elements. But sometimes simplictiy is good. 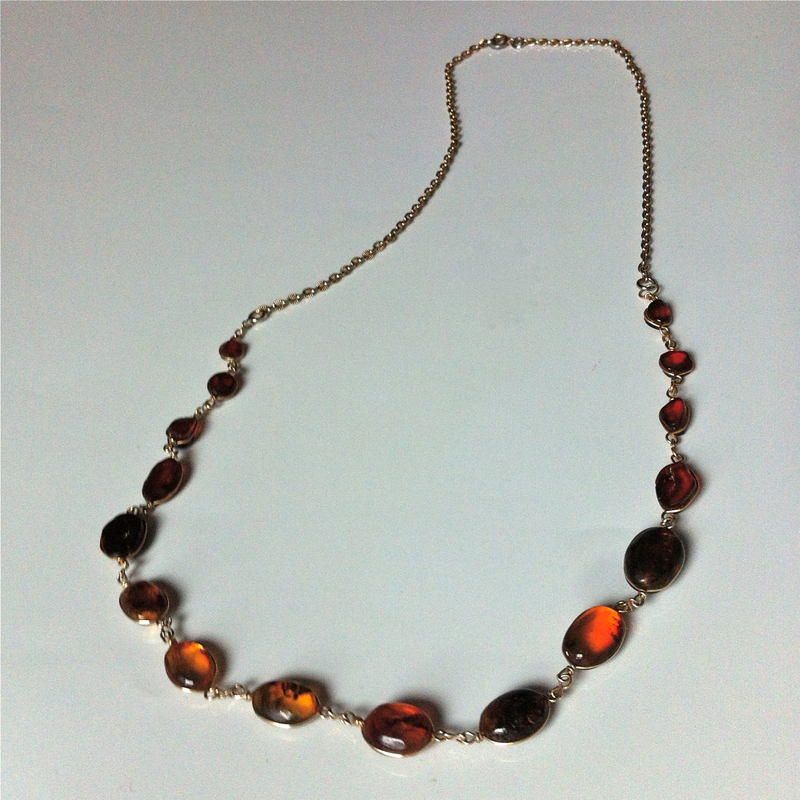 This amber necklace was made from two broken wrapped bracelets. I rearranged the stations so that they were graduated in size and then I added a length of chain because I like longer necklaces and I never found a third broken bracelet.